BlueSol Design is a professional tool for the design of photovoltaic systems. BlueSol Design is proposed as a product for professionals looking for a simple and comprehensive way to solve their design problems. BlueSol Design simplifies the design of photovoltaic plants, assisting the user in all stages of design, starting with the dimensioning of the system to get to the realization of the documentation. The pre-dimensioning wizard produces a complete and verified project, which can then be modified in each part to obtain any possible configuration. 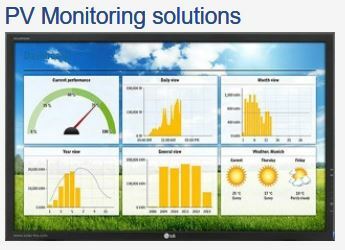 BlueSol Design simulates, via software, the behavior of the PV system in all its components. The schematic representation allows the designer to have a precise view of the operation. BlueSol Design integrates a CAD system that automatically generates the single-line electrical diagram. BlueSol Design generates the necessary documentation for submission of the project: technical report, financial report, final technical report, plant layout, single line electrical diagram.